On paper, my career path seems somewhat counterintuitive for a young journalist in today’s industry: I started at a digital international news company and transitioned into working for legacy media. Several years ago, my current boss asked if I would be interested in working at the Los Angeles Times. I was skeptical. I’ve always enjoyed thinking about the best ways to tell stories and convey information, and perhaps that’s why I appreciate the digital space and technology. In my mind, the trappings of working for a newspaper would threaten the very things that excited me about working in online-first journalism: having the freedom and flexibility to experiment with storytelling in non-traditional ways. I am two and a half years into my job at the Times, and I could not have been more wrong. I’ve never been more fulfilled, excited and challenged to do innovative things. The simplest description of what I do is use data to tell stories. Sometimes that means knowing that words aren’t the best way to show something. Sometimes it requires figuring out how to turn thousands of rows of data into something visually interesting. My desire to experiment has taken me to odd and tiny places. The culture of curiosity and experimentation that exists at the newspaper is something I also distinctly remember about CQS training and hope to always cultivate as a journalist. 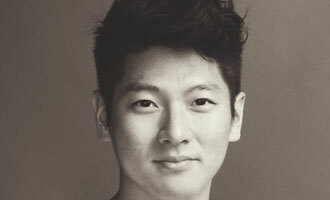 Kyle Kim is a journalist for the data visualization department at the Los Angeles Times. He recently completed one of his dream projects: explaining why Serena Williams is so good at tennis.